Appliqué, and particularly circles, can be intimidating for a lot of quilters, even seasoned ones. My pomegranate die, with two circles and two cat’s eyes, not to mention two curved leaves, may seem intimidating, but in truth, they make everything easier! I love using them because they help me achieve accurate results so quickly and effortlessly, and they make all my projects look great! 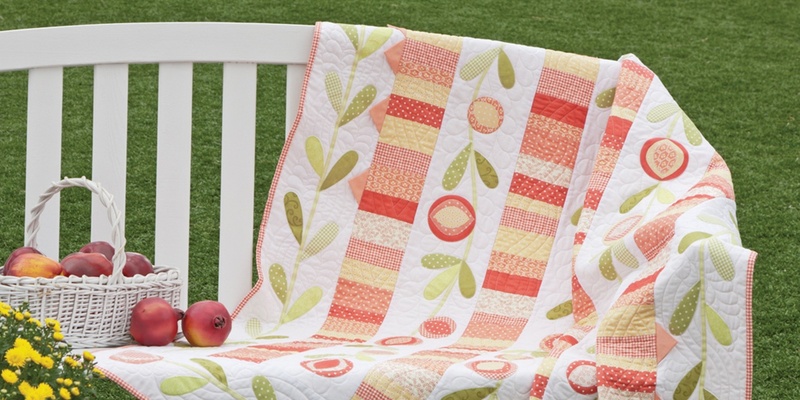 Hearing your ideas is like chatting with good quilt guild friends. That’s what makes our four newest GO! dies so special. They came from you!